“Freelines are insane.” This is the opening quote that tester Trent offered after spending a month trying out Freeline Skates. Freelines are basically small metal plates with grip on the top and two 72 mm longboard wheels underneath. They don’t strap to your feet, and you can’t stand still while standing on them. Riding one skate per foot, they create a quasi-skateboarding effect, except that it’s nothing like skateboarding at all. When I first saw Freelines, I was skeptical. They looked like a gimmick, something that a small group of weird kids would get into—and then quickly get out of. But then I got to use them and found that they’re solidly built and strangely fun to ride! Freeline skates are built VERY tough. Made with solid metal frames and high-quality wheels and bearings, they are designed to support 3,000 pounds of pressure per skate. Ryan Farrelly, the inventor of Freelines, wanted them to withstand being run over by a car. The little square metal plates are covered with grip tape and marked for right and left. The 72 mm wheels are made with a special formula developed by Farrelly, for just the right amount of grip versus slide. The bearings are generic ABEC 5s, which are appropriate for this kind of riding. So just how far can you go on these Freelines? It turns out you can do pretty much whatever you want. They aren't like a skateboard, really, and they aren't like inline skates. Freelines are something different. Something new and unique. While riding them, you stand in a similar stance to skateboarding, in that you are going to the side. But, that's where the similarity ends. You sort of pump or slide or weave your feet in and out, in order to create momentum. You can't just stand still on Freelines; they are built to move. Be patient. It takes a while to get used to Freelines. Farrelly said that most people can learn in about a day. It took our tester about a week to make some real progress and about a month to feel confident on them. Start with videos. We watched the instructional DVD that comes with them. There's another instructional video for Freelines on YouTube that was also pretty helpful. Step off. The fact that you can step off of Freelines is a huge bonus, and it's easier than stepping off of a skateboard. We found that Freelines are just as safe as skateboards (or just as dangerous as skateboards). Freelines are pretty easy to slow down on, and like I said you can step off of them easily. Avoid big hills. On steep or long hills, there isn't much you can do to recover if something goes wrong. You'll have a better time Freelining on flat surfaces or maybe small hills and gentle grades, for now at least. Is This "So Long" to Your Skateboard? Trent wanted to add that Freelines definitely do not replace the skateboard. Farrelly said the same thing, stressing that he's not trying to take away from skateboarding at all. He loves skateboarding—all the guys in his company seem to skate, and the last thing they want is for people to think they're trying to replace skateboarding. Freelines are something altogether new and different. After testing out these Freelines for a month, talking to their inventor, and watching a lot of videos on them, I think Freelines are a great buy! But this is only if you are looking for a new challenge or if you want to turn heads. If you're looking for something like skateboarding or snowboarding, Freelines might not be best—just stick with skateboarding or snowboarding! Freelines are something very unique, and they are a lot of fun, but they are their own thing. A lot of products come out and THINK they are the new thing, but most are pretty lame, or a fancy gimmick at best. 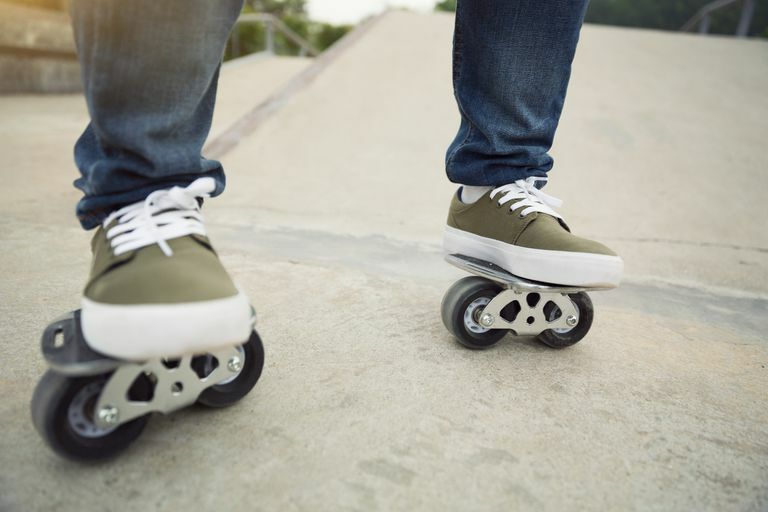 There might be depths to Freelines that no one even knows about yet: trick variations and tweaks that you can't do on a skateboard or inline skates. 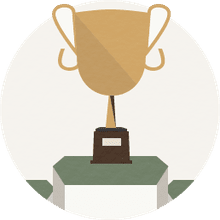 Freelines are a new, open, largely unexplored territory, and if you like the idea of testing yourself on something new, then Freelines might be a good fit for you.